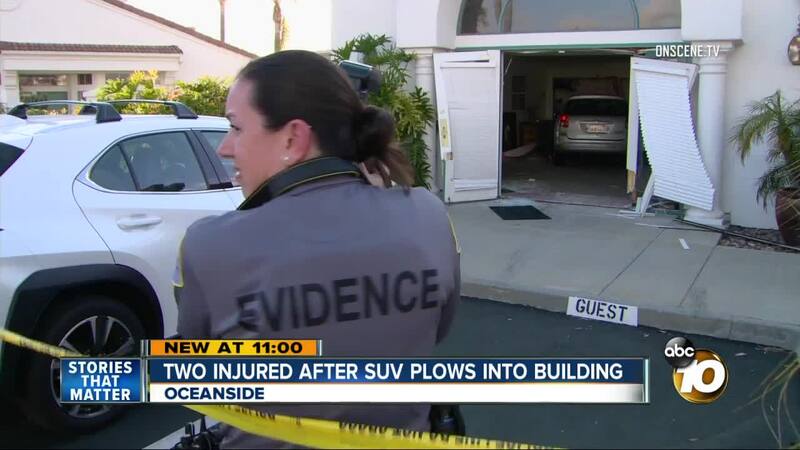 OCEANSIDE, Calif. (KGTV) - Two women were injured after a car plowed into a building in Oceanside. Oceanside police were called out to 3300 block of Genoa Way just before 5:30 p.m. Police say the driver of the vehicle stepped on the gas instead of the brake. The crash happened at a clubhouse inside a gated 55 and over community. Police say two women were inside playing bridge when the vehicle crashed into the room. Police say they were transported to the hospital with minor injuries. One of the women was the driver’s wife. Structural engineers examined the building and said it was safe and will remain open.